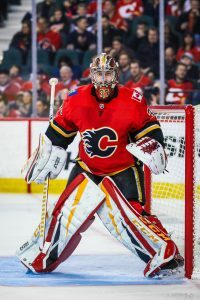 I would not commit a long term deal to Rittich if I were the Flames. Far too often we’ve seen goalies get in the zone for a season and look like the next big thing. And more often than not, it proves to be a mirage(think Andrew Hammond). 1 year probably works for both parties as it lets the Flames see if he’s real while Rittich can potentially bank extra leverage towards long term security. Most I’d go would be 2 years, maybe 3 if the AAV is below $3 million. One or two-year bridge for Big-Save Dave? Agreed. Guy’s got the most enjoyable personality for a netminder, but definitely likes to try to show up when it matters. When he has an off night, he seems really driven to make up for it next game. At least that’s what I get from the boys who call the games on SN960. Would be nice for the Flames if he can prove to be the real-deal, not just a one-year mirage. Edmonton’s banking on Koskinen, which may prove to be yet another debacle, but the Oilers’ D has been suspect most of the year, again, so we’re not absolutely sure what Koskinen really is. Either way, he definitely wasn’t worth an extension of more than 1 year at 1-2 million. Trader Pete strikes again with more salary cap damage..